COUNSELOR-IN-TRAINING PROGRAM with Ann Arbor Y Summer Day Camps (for students entering grades 10, 11 or 12) Learn coaching, facilitation, job skill development, and how to effectively lead others. CITs are expected to have a sincere desire to work with children, give back to their community and build a strong work ethic. 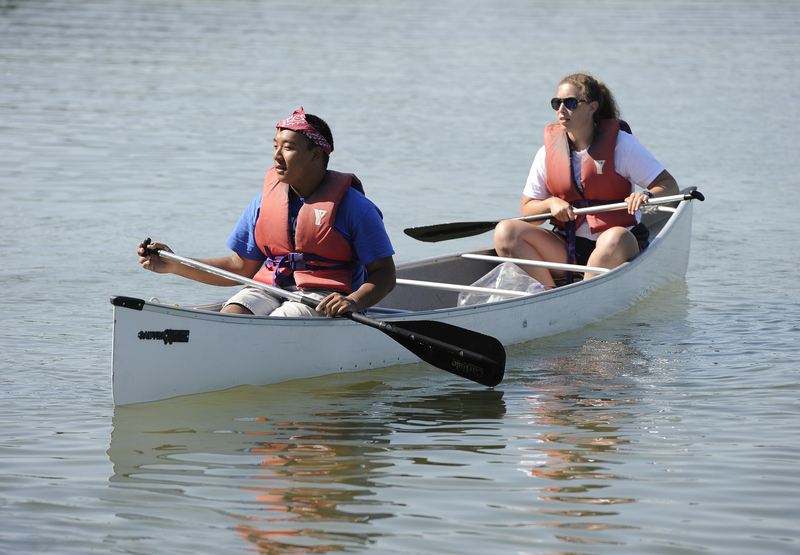 A commitment to positive youth development and learning what it takes to be an effective camp counselor must be made apparent in the application/interview process. The CIT program is offered at Camp Birkett, downtown Ann Arbor Y, and Ypsilanti Day Camps. Applicants MUST be able to attend week 1 and week 2 to complete the program. Participants can log volunteer hours. The objective of the CIT program is to equip participants with the resources necessary to be positive youth developers and to prepare for a future working in or out of the camp setting. This is done through hands-on experiences, guidance from staff members and, of course, on-site workshops. The first will consist of professional development training workshops, completion of CPR and First Aid certification, observation of a variety of camp programs, and daily group reflections. Participants will receive a Site Assignment for week 2 and are expected to carry out assigned camp program needs under the direction of a designated counterpart. Once week 1 and 2 are successfully completed, CITs may be invited to continue their service for remainder summer program sessions with the approval of Camp Director and Teen and Volunteer Director. The Counselor-in-Training program provides teens with necessary tools to become cause-driven leaders in the camp world. Participating as a CIT offers countless opportunities to interact with children, lead activities and participate in camp programs. Summer 2019 Applications can be completed via Google form and are due on May 1, 2019 with character references due May 3, 2019. Please use the links below to complete an application and send reference forms to 3 individuals (2 professional references and 1 personal reference).